During a discussion of park assets and opportunities for bolstering green spaces throughout the community, the Gresham City Council floated the possibility of forming a parks department. At the Tuesday afternoon, March 12, meeting, Councilor Mario Palmero asked whether it would be beneficial for the city to have a separate department to helm projects such as bringing more parks into the community, updating failing infrastructure and securing funding. It was an idea Councilor Eddy Morales agreed with. "There is a lot of need across the city," Morales said, "and if we are going to undertake something this big I recommend we staff a parks department." Gresham Mayor Shane Bemis pointed out that despite not having a parks department in name, many hands throughout City Hall help make sure Gresham's green spaces are attended to. Gresham's park system encompasses more than 1,200 acres, which includes more than 56 parks, as well as trails and natural areas. Most are either fully or partially developed with various amenities, like play structures and bathrooms, but there are six undeveloped areas within the city. "We are working with some terrific assets we can develop," said David Berniker, urban design and planning director. 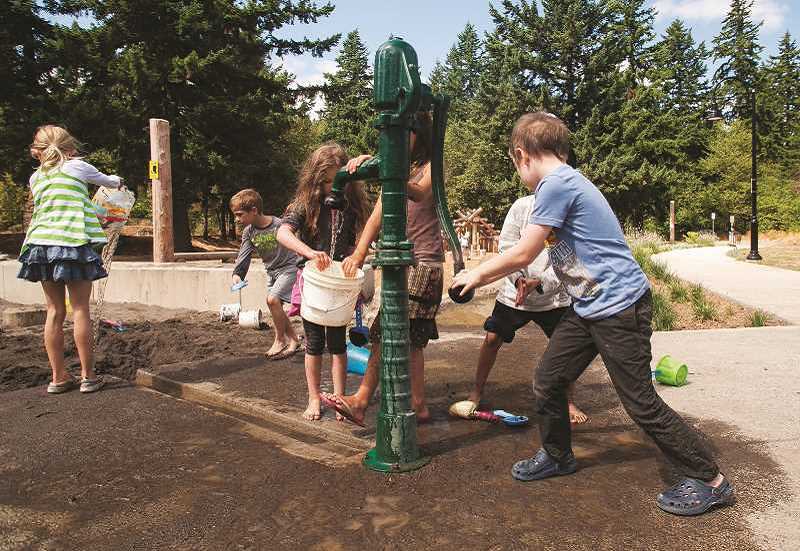 City staff shared some near-term funding potential to improve parks within Gresham. They are asking for $6 million from the state Legislature during the 2019 session to complete phase two of Gradin Sports Park. "This is no guaranteed funding, but we are trying," said Steve Fancher, environmental services and city operations director. Gresham is applying for a grant of up to $30,000 from the U.S. Conference of Mayors that would be used to bring more dog parks and features in existing parks where dogs could play off-leash. "I'm excited to see (dog parks) because a lot of people have said we need a larger one," said Councilor Janine Gladfelter. A State Parks Grant up to $400,000 is due in April, and the Metro Regional Government's parks and nature bond will be renewed in November. Gresham's local share of the bond is about $4 million. "Bigger projects like a community center and completing the undeveloped parks will require bigger funding in the future," Fancher said. The city is continuing to contract with Outgrowing Hunger to manage seven Gresham community gardens, which produce about 30,000 pounds of edible produce every year. Outgrowing Hunger is evaluating adding more gardens near schools and churches. The cost of adding one ranges between $10,000 and $25,000, according to city documents. Recreation programs are also a key component of Gresham's plans for parks, and the city would like to expand those that are offered. It is also looking to upgrade or implement more playground equipment. "We should try not to make playgrounds so cookie-cutter and let them reflect the communities they are in," Morales said.